Reports say Sri Lanka's police chief warned of potential suicide attacks from religious extremists on 'prominent churches' ten days ago. 'A foreign intelligence agency has reported that the NTJ (National Thowheeth Jama'ath) is planning to carry out suicide attacks targeting prominent churches as well as the Indian high commission in Colombo,' the alert said. Pictured: Police commando enters suspected militant hideout. 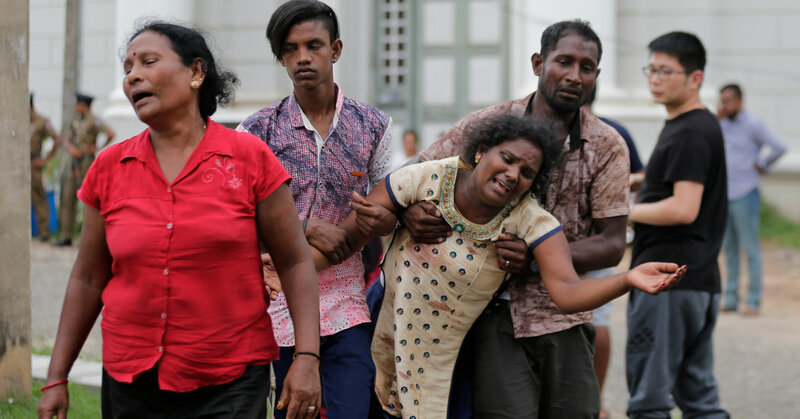 More than 207 people are dead and 450 injured after a coordinated wave of bombings struck Sri Lanka on Easter Sunday. At least five British citizens were among those killed when attackers targeted Churches as worshippers celebrated Easter in the worst violence the country has seen since the end of its bloody civil war in 2009. Pope Francis condemned the Easter Sunday attacks in Sri Lanka that left at least 200 dead. serank added new photo album "বিস্ময়কর পৃথিবী"